From the rides to the model cities to the simulated factory tour, there are plenty of things to see and do at LegoLand California. In fact, there are enough things to do that it would take you at least all day to do it all, but if you’re on a time constraint, here are the top 5 must do things there. Dino Island – Dino Island is fun for anyone interested in dinosaurs. You can ride the Coastersaurus at speeds of up to 21 mph past an animated 1100-lb Lego Brachiosaurus, dig in over thirty cubic yards of sand for dinosaur “bones”, and then check out the gift shop for unique dino-themed sets of Legos! If you have a little princess, you won’t want to miss Castle Hill. Grownups can start with a wild ride on the end of a robotic arm and the little ones can take a ride on a Lego horse through an enchanted forest where Lego knights joust before their eyes. To top off the experience, parents and kids can even ride the medieval Dragon coaster, which takes them on a fun trip inside the Lego castle. Legoland Water Park – Especially if you go to Legoland on a hot day, the water-park is one of the must do activities. At the center of the park is a 45-foot tower designed to immerse kids into the Lego world. The park also has more than 20 models including giant Lego friends who splash and spray guests. For smaller children and mom and dad to relax a little bit, the water park also offers two sandy beach wading areas. Pirate Reef is fun for the whole family, where you can choose a ship and blast each other with water cannons. The Sea Life Aquarium is great for younger children to understand the underwater world. It incorporates Lego models into the world of the sea, and makes learning fun and entertaining for kids. The Aquarium does require a $15 upgrade, but it’s well worth the extra expense. Lastly, but certainly not least, Mini-land USA is a must see attraction at Legoland California. You can see it from many places in the park, but up close and personal is the best way. It’s a reproduction of seven areas of the USA, made with twenty million Lego bricks! It will entertain children and grownups alike, and offers an incredible learning experience in both architecture and art. 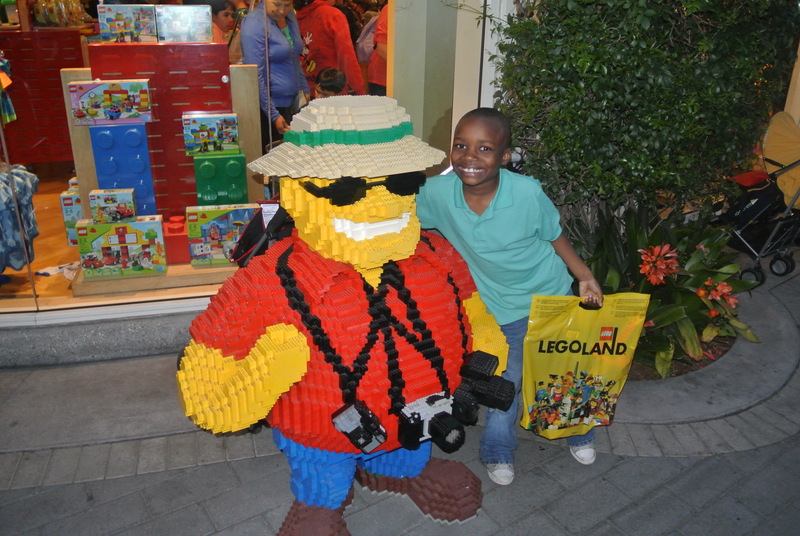 No matter which attractions you choose to visit at Legoland California, you’re sure to enjoy your visit and return for years to come. It may be designed for the younger crowd, but it really does offer something for visitors of any age.